Peter is a partner at accountants Menzies LLP. He has extensive experience of advising legal partnerships, where his focus is on profit and cash flow improvement. In other words, he provides business and consultancy services, as well as accountancy and tax planning advice. Clients’ often comment on Peter’s personal attention to their firms. He takes a keen interest in their development and takes the role of ‘trusted adviser’ to his clients. He also speaks at seminars on practice management and has written many articles in this specialist area. 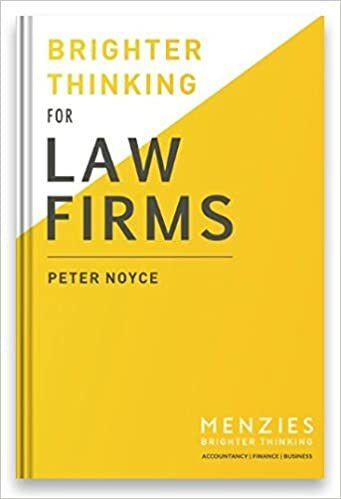 Peter’s book “Brighter Thinking For Law Firms” (2017) has received critical acclaim. Reviewing it for The Law Gazette, Tony Roe Solicitors wrote “reading this book was akin to attending a really good law management conference and getting to chat with some key players”.